This post is brought to you by Eliana, from Well Trained Mind's 52 Books group, who offered to talk about Dr. Martin Luther King, Jr. The King Center includes a brief bio of Dr King, a summary of his philosophy, and a documents archive. 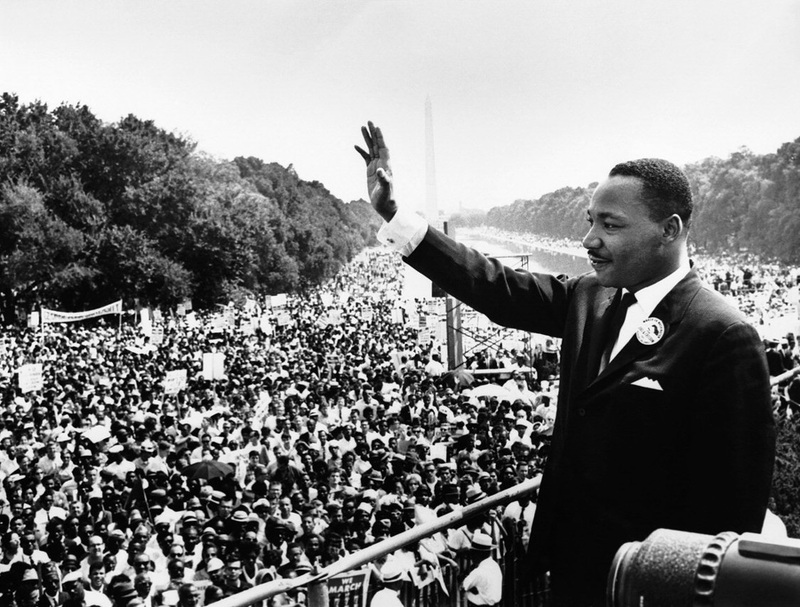 On the History Channel, you’ll find many articles, videos, and more about Dr. King. 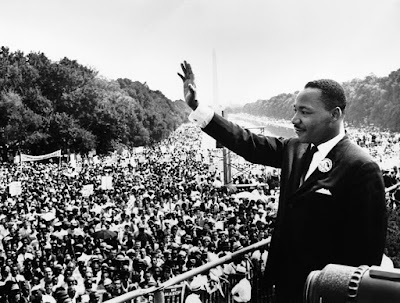 MLK Day is also designated as a day of national service.Check out National Service.Gov for events happening around the country as well as more information about Dr. King, lesson plans and service projects. I'd like to start us off by sharing a video with a brief excerpt from Dr King's last speech which begins with a challenge which is at the heart of our discussion here: when will we stand by the principles we have espoused and committed to as a nation? I volunteered for this week because our discussion last year, and my own tentative readings, had left me wanting to give more time and reading space to African American history and culture. I had intended to write a post focused on African-American literature - novel, plays, poetry, essays - with a few history books and memoirs to round them out... and also to try to create a rough outline of some key texts. ...but our conversations this past week have shifted my intentions (though I'd still like to share the other ideas another day!). My focus this week is on race and racism - analysis, personal reflections, fiction, poetry, and even drama. Between the World and Me: a very personal description of being a Black man of my generation, framed as a letter to his teenage son. It isn't a comfortable read, and it doesn't offer any real analysis or solutions, but it does give a vivid, powerful sense of how this one person has seen and experienced the world. The New Jim Crow: This book draws a clear line from slavery to Jim Crow to our present-day systemic racism. It is an essential book for understanding some of the challenges our society faces today. Racecraft: a collection of essays which looks at the social construct of race and the ways we use it to try to make sense of our experiences and observations. The authors are making an analogy to the ways in which the idea of "witchcraft" has been and is used is some cultures. History of White People: As I've thought more about the ideas of "race", I've been wondering where this "whiteness" came from. I know it hasn't always included the ethnic groups that might now be grouped under that designation (Italian, Irish, and Polish come to mind), but I want to see if this book can give me a clearer overview of how and from where our current cultural construct originated. Two books in my stacks which touch on the same issues, but from a different angle: Whiteness of a Different Color and Working Toward Whiteness, both of which look at immigrant experiences and their efforts to become "white". I've wondered about how we evaluate the impact of our assumptions. Whistling Vivaldi examines the effects of stereotypes and identity, Why Are All the Black Kids Sitting Together in the Cafeteria challenges us to talk about race, with each other and with our children. Racism without Racists looks at systemic racism and its implication, and Blinded by Sight brings the startling research that the blind aren't any more colorblind than the sighted...and explodes the myth that a colorblind society would be a more just society. "Confronting racism is white folks' responsibility because even though we, in the present, are not to blame for the system we have inherited. We have inherited it nonetheless, and continue to benefit, consciously or not, from the entrenched privileges that are the legacy of that system... If we are to make use of the assets (as we really cannot help but do) accumulated over a period of several hundred years - including, of course, assets whose possession owes directly and indirectly to slavery and its legacy of racial subordination that enriched many and brutally oppressed many more - then we cannot, ethically, turn our backs on the debts accumulated at the same time." 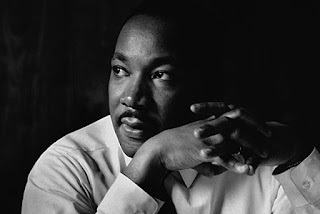 And he ends with a quote from Martin Luther King Jr: "Change does not roll in on the wheels of inevitability, but comes through continuous struggle." I want to hear more. More about what I can do, beyond hearing, beyond caring, beyond my own little garden of life. Especially given the warning sounded by Reproducing Racism which asserts that these injustices might be "locked into place" without significant structural changes *soon*. So, I am on the hold list at my library for Dear White America. Then I looked through my list above and I noted a glaring absence. Do you see it? Every book above looks at racism from the assumption that it is a gender-equivalent experience. Even the little reading I have done tells me this is not true. 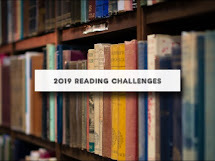 Although I see a number of books about race and the feminist movement (Women, Race, and Class and When and Where I Enter ( both high on my TBR list), but very little which directly addresses the issues I'm thinking about. One exception is bell Hooks' Ain't I a Woman - I tend to enjoy her writings in small doses. I have several I am nibbling at, but am not sure I will finish. But this one I will try to read all the way through. I am also pulling a very dusty book off my shelves: In Search of Our Mothers' Gardens, which is a collection of Alice Walker's prose focusing on what it is to be a black woman, in a range of contexts. A memoir which contrasts with Coates' on a number of levels is Negroland by Margo Jefferson. But, perhaps, there are things which can only be expressed in fiction? Without all the statistics and other data, without how it fits into the real-life bio of the author/memoirist? Several of us read The Sellout last year - a biting, sad, hilarious satirical novel which reached me in ways I don't think a more serious, factual account would have done. Nella Larsen's Passing was a compelling, chilling read - and her Quicksand is now on my TBR stack. Baldwin's Fire Next Time is a powerful piece of nonfiction, but I've never read any of his fiction, so I am adding If Beale Street Could Talk to my lists. Langston Hughes has long been a favorite poet; his Selected Poems is wonderful. Sonia Sanchez is a new favorite. Her Shake Loose My Skin has left me wanting more and more... it is powerful, lyrical, moving verse that gave me a glimpse of a black woman's experiences and culture. Citizen: An American Lyric addresses many of the issues we've struggled with here, but, somehow, shook different things within me. I also have Lorde's Black Unicorn and Komuyakaa's Neon Vernacular in my stacks - poets I've heard of, but never tried. A Raisin in the Sun is a classic play for good reasons, and if you haven't seen or read it, I recommend it. One can't talk about African American theater without giving a place of honor to August Wilson. His Fences is an explosively powerful, touching drama, part of a ten play cycle which traces the Black experience over ten decades. co-written by Morrison, which gave a different perspective on the story. While reading No Cause For Indictment about the Newark Riots in the 60's, I was drawn to try some of Amiri Baraka (formerly LeRoi Jones) plays. They are not comfortable plays to experience - reading them was hard enough, I imagine seeing them would be even more harrowing. The anger and violence is shocking, but they also express a strand of reaction and experience that I've never looked at before. His volume of his well-known plays: Dutchman and The Slave are probably as much Jones as one can take at a time. I am thinking of revisiting For Colored Girls Who Have Considered Suicide When the Rainbow is Enuf. I was too young when I read it as a teen. I think I need to come back to it now. Two other plays I read last year which don't match their more famous siblings above, but gave me valuable perspective and a reading experience I enjoyed: A Soldier's Play and Five on the Black Hand Side. “We are challenged to rise above the narrow confines of our individualistic concerns to the broader concerns of all humanity.” - "Facing the Challenge of a New Age"
“We are now faced with the fact that tomorrow is today. We are confronted with the fierce urgency of now. In this unfolding conundrum of life and history, there "is" such a thing as being too late. This is no time for apathy or complacency. This is a time for vigorous and positive action.” - "A Time to Break Silence"
"We refuse to believe that the bank of justice is bankrupt. We refuse to believe that there are insufficient funds in the great vaults of opportunity of this nation" - "I Have A Dream"
"I must confess, my friends, the road ahead will not always be smooth. There will be still rocky places of frustration and meandering points of bewilderment. There will be inevitable setbacks here and there. There will be those moments when the buoyancy of hope will be transformed into the fatigue of despair. Our dreams will sometimes be shattered and our ethereal hopes blasted. We may again with tear-drenched eyes have to stand before the bier of some courageous civil rights worker whose life will be snuffed out by the dastardly acts of bloodthirsty mobs. Difficult and painful as it is, we must walk on in the days ahead with an audacious faith in the future. … When our days become dreary with low-hovering clouds of despair, and when our nights become darker than a thousand midnights, let us remember that there is a creative force in this universe, working to pull down the gigantic mountains of evil, a power that is able to make a way out of no way and transform dark yesterdays into bright tomorrows. Let us realize the arc of the moral universe is long but it bends toward justice." - "Where Do We Go From Here?" well accidently posted my book from week 2, oh well I will post my week 3 book as well once im finished. That's okay Andrew. Doesn't matter which week we are in, you can post whichever book reviews you want to link to. Wow, what an incredible post, Robin! Lots of resources there. Thanks for putting stuff like this out there. All the thanks go to Eliana. She put it all together. Agree.Will keep us all wondering the interwebz, checking out books and learning quite a bit. I found all the African-American books in The Well-Educated Mind list very helpful in my understanding.